LinkedIn announced it’s hit a major milestone and threw around some interesting new figures that show just how global a player the professional social network has become. It now only counts 500 million members across 200 countries but also plays host to more than 10 million jobs, boasts more than 100 million published articles per week, and provides users access to more than 9 million companies worldwide. 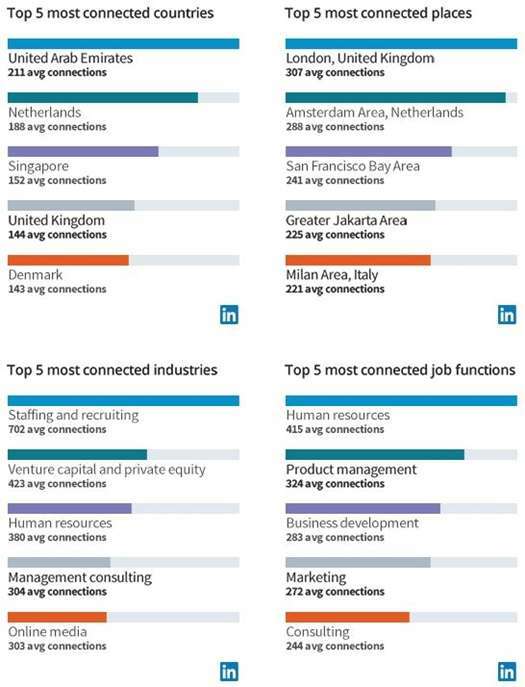 The announcement, made via blogpost by the vice-president of growth and international products, also includes some interesting information about the most connected cities, countries, industries, and job functions. Go ahead and check them all out. Helped by Stories, Web sign-ups, and an easier way to onboard users with lower-end Android devices, the Facebook-owned social network is now twice as big as Twitter in number of active users, and its growth is accelerating. 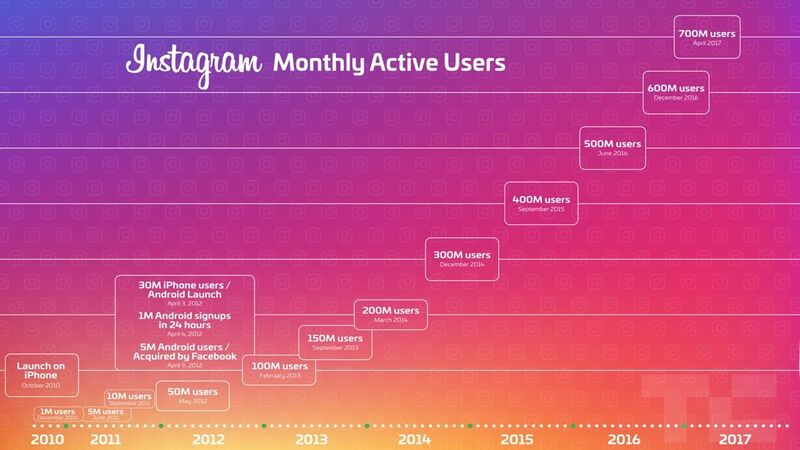 Though it took six months for Instagram to move from 400 to 500 million users, it’s taken only four months to make the jump from 600 million to 700 million. Snapchat’s growth, on the other hand, has sunk 82% since Instagram unveiled Stories last August. The United States and Brazil continue to hold the No. 1 and 2 slots in popularity for Instagram, although 80% of the social network’s users live outside the US. The app might just be the next Facebook-owned platform to hit the 1 billion club, and it might happen sooner than we think. New targeting capabilities on LinkedIn mean brands can now use the platform to home in on website retargeting, account targeting, and contact targeting. 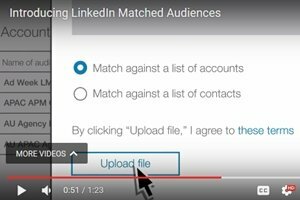 The new Matched Audiences is now available for all LinkedIn ad products, including Sponsored Content, Sponsored InMail, and the platform’s other native ad formats. The new features will let marketers show ads to users who’ve previously visited their websites, market to contacts included in their customer databases, and reach the decision-makers at the desired companies for account-based marketing strategies. With website retargeting and contact targeting leading to 30% and 37% increases in click-through rates, respectively, it’s no question that these new capabilities might appeal to your LinkedIn strategy. Despite all the doomsday news the social network faces, Twitter’s stock shot up 11% after the company reported the strongest growth in monthly active users in more than a year and a much better than anticipated quarterly profit. Monthly active users jumped 6% in the first quarter of 2017, reaching 328 million and beating analyst expectations. Twitter advertising revenue also didn’t fall as much as anticipated, leaving markets a bit more upbeat about the company’s future than they have been in the past. We’ll see if this stretch holds as the social network continues to develop new products and features. The company—which many consider a social network—will launch its first major US advertising campaign this summer with the goal of convincing people that it’s actually a visual search engine. It’s even going to get rid of its “like” button to differentiate it from the Facebooks and Instagrams of the world. 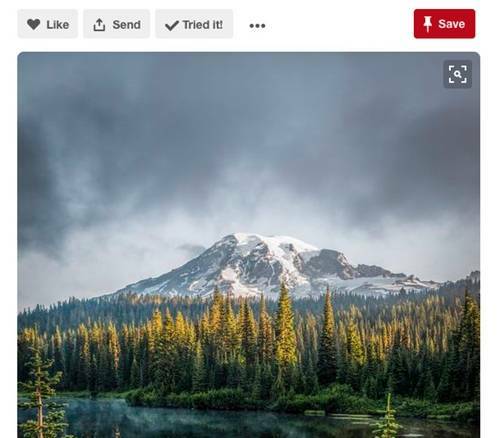 Pinterest wants to encourage its users to check out the platform for inspiration, and then get off the Internet and try their hand at creating something in real life. It wants to be the visual discovery tool of choice, and that could just be its ticket to survival in today’s age of cutthroat social media competition. Before releasing its quarterly report, top Twitter management said the social network plans to eventually air live video 24 hours per day, 7 days per week on both its website platform and its app. Could it be a smashing success? Yes. The only question is whether Twitter can do so before traditional TV service providers make the full transition to digital delivery of their content—something already well under way. Not many details were provided, but Twitter says it’s already working on programming, building on the 800+ hours of live content the platform aired in the first quarter of 2017. If Twitter can manage to transform into a TV-like media destination that promises around-the-clock breaking news, sports, and information channels, it could be enough give the social network the boost it needs to fight off competition. The social network seems to be testing all sorts of tweaks in an effort to crack down on fake news that could influence its users with false information. 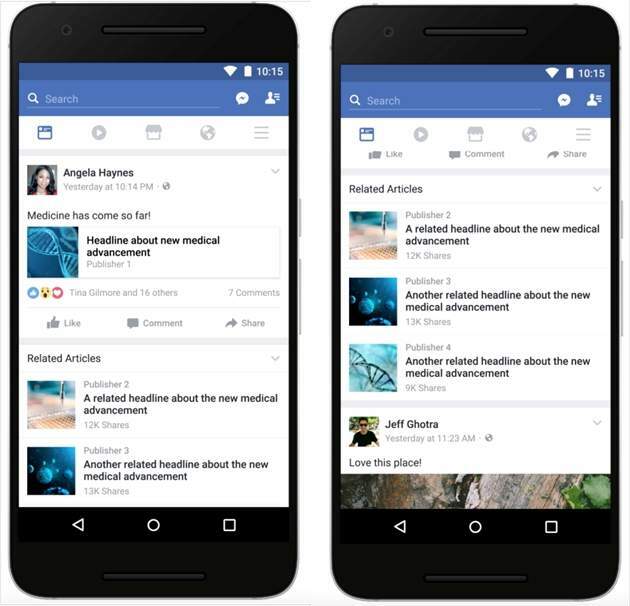 A new Related Articles widget in the News Feed, which normally only appears after you’ve clicked through to an article and then back to Facebook’s platform, will now start appearing even before users select a story. Related Articles will also include third-party fact-checked stories in an effort to provide people with additional information and varied perspectives. The hope is that the new feature might just spark users to think before clicking on and reading through—and becoming indoctrinated by—a falsehood-ridden piece of content. Completed, a new professional social networking platform, wants to take on LinkedIn, but do so with a Yelp-like twist. Instead of asking its users to rate just a company, Completed also wants its members to rate the business professionals that make up a company. The social network says the ratings—a sort of “constructive criticism of employee performance”—should create a sense of accountability that can upend the current process businesses use for career development and hiring. Completed just wrapped up a one-month beta period in which is added 150,000 people to its roster. 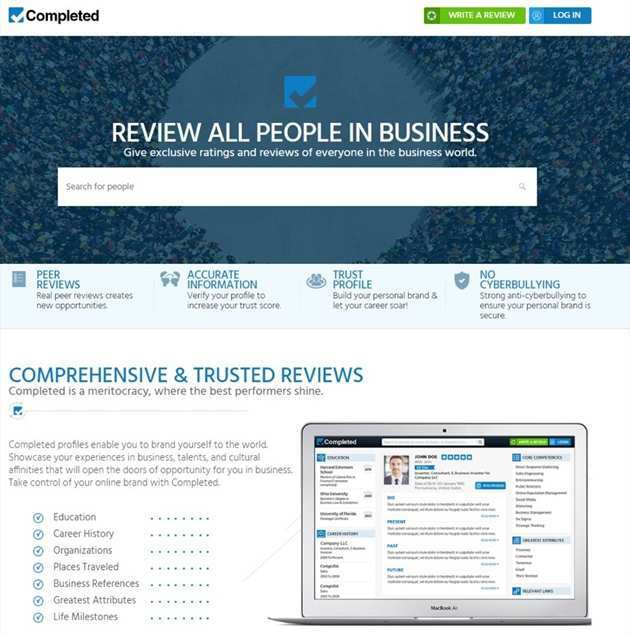 Do you think the company could take on LinkedIn? Or will the Microsoft-owned social network’s iron grip hold tight on professional social networking? Looking to improve your Facebook ad performance, but not sure exactly how to do so? 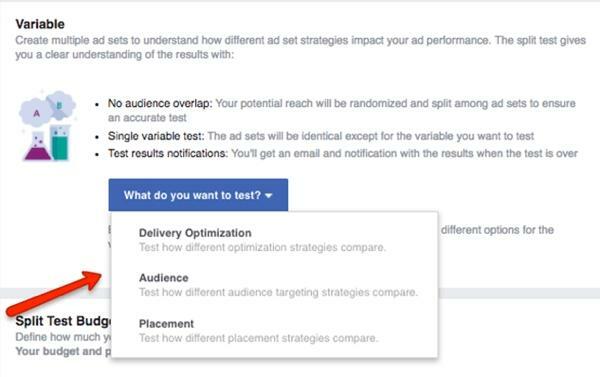 The social network recently introduced a split testing feature to help marketers find out which audiences, delivery settings, and ad placements optimize their results. From creating new campaigns and tracking conversions by enabling the split-testing option, to deciding which variables to test and setting your budget and scheduling your campaign, Social Media Examiner has a a step-by-step guide to optimizing your campaigns with the utmost efficiency. Influencers are seemingly becoming the norm for brands—big and small—across all verticals, but that doesn’t mean using them will result in an endorsement post for your product or service that feels organic and doesn’t appear salesy—particularly if the Federal Trade Commission (FTC) has its say. The FTC wants to make sure users know when influencers are being paid for their posts, and thus recently sent out 90 letters to celebrities, athletes, and other influencers to tell them they must “clearly and conspicuously” disclose that they are making No more “thanks Louis Vuitton!”—as if Louis Vuitton just felt the need to ship you a $1,500 handbag because you said you liked it. The bigger question might be how the FTC decides definitively when someone becomes an influencer, and when the endorsement or post of a product or service was only inspired by free gifts or payment.